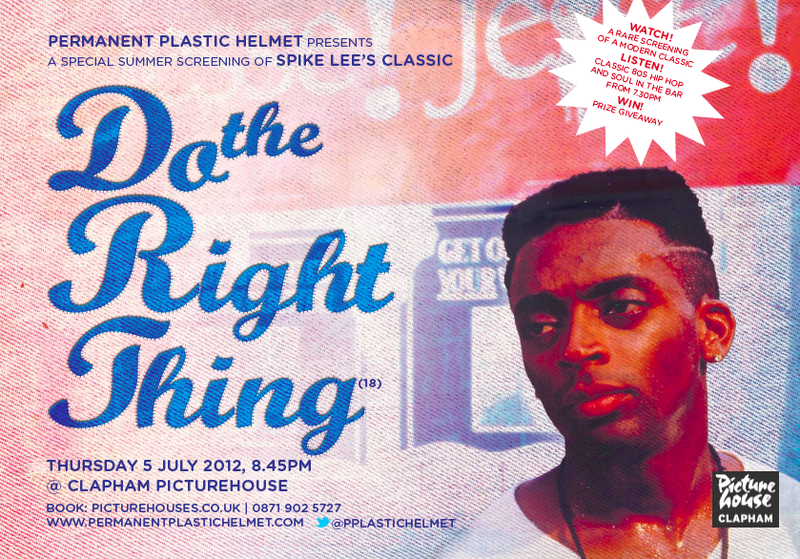 Permanent Plastic Helmet presents Do The Right Thing | Update – here’s the poster! We’re starting to get very excited about our special summer screening of Spike Lee’s classic joint Do The Right Thing at South London’s lovely Clapham Picturehouse cinema on Thursday 5 July. You can book tickets by following this link. And here is the beautiful poster, designed by the outrageously talented Piccia Neri. This entry was posted in Events and tagged buy, Clapham Picturehouse, classic, Do The Right Thing, event, film, Poster, south london, spike lee on June 14, 2012 by Ashley Clark.